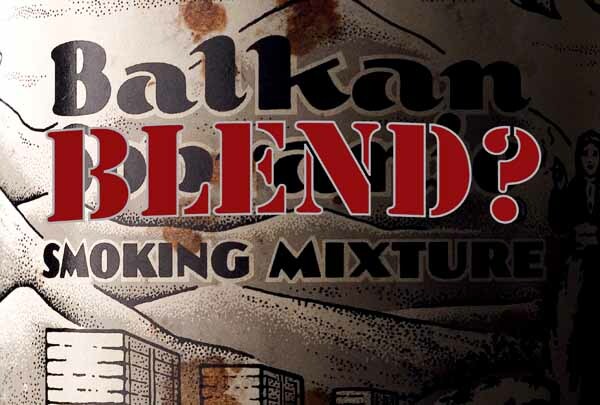 The Briar & Leaf Chronicles » Blog Archive » What is a Balkan Blend? It seems fairly clear that the term “Balkan” as a blend descriptor derives from the legendary Balkan Sobranie, and came into common usage as a way to describe tobaccos that are similar in character. That’s not really a problem, but, subsequent discussion of what this term might mean has led us down an entirely wrong path. A “Balkan” blend simply isn’t what it’s often said to be. So, while we might argue that “mixture” has some useful meaning, the term “English tobacco” would only denote, at least historically, any blend produced without artificial additives, chemical flavorings or humectants. Straight virginias, plus, slices, mixtures would all fall under this banner, if made according to the now defunct purity laws that once governed tobacco production in Britain. And, indeed, in the 1940s and before, even purveyors in North America seemed to be satisfied with that loose description. Companies like Wally Frank produced such blends as “English Plug Cut,” a pure tobacco comprising virginias and traditionally steamed cavendish leaf. By the 1960s, there seems to be some commonly held distinction between “American” and “English” mixtures, the former containing burleys and flavored tobaccos, the latter adhering to the purity laws. Over the past thirty years or so, however, pipesters have come to nearly universally accept the notion that an “English mixture” is a pure tobacco mixture comprising virginias, orientals, latakia and perhaps perique. It’s as good a starting point as any. In fact, it wasn’t until some time in the 1990s when the neologism, “Balkan blend,” rose up from the murky waters as pipesters sought to differentiate Latakia blends that seemed more oriental-forward than English mixtures, but produced from similar components. The earliest uses of the term were found in on-line forums and chat groups on the internet. Up to that point, we had Balkan tobaccos, and we had Balkan Sobranie, a specific blend containing these tobaccos, and somewhere along the way, the name was abducted and held for ransom. Here’s where things get more challenging. Most smokers of Latakia blends, when asked, would probably hold up that Sobranie stuff as the prototypical “Balkan blend,” and this certainly makes some sense. On the other side of the Balkan/English coin, Dunhill’s London Mixture, first created in 1928, would serve as well as the classic exemplar of an English mixture. Unfortunately, this is troublesome in any attempt to solidify our definitions, since the two blends are precisely the opposites of what we would think of them as being, given the connotations of these terms in our currently fashionable parlance; London Mixture contains relatively little virginia leaf in its makeup, and Balkan Sobranie, quite a lot! Confused? Me, too. For years, I’ve also adhered to the popular notion that the term “Balkan” might have some meaning when referring to a type of tobacco; some way of differentiating one blending style from another, but, if things are backwards in our modern interpretations, does it really mean anything? If the quintessential “English” mixture is actually a “Balkan,” by our terms, and the “Balkan” is “English,” should we really even be using the terms? Of course, I’m being more than a little finicky, but if the connotations of these terms are topside-down, which they clearly are, don’t they darken our understanding of what the blends they are used to describe are? Since it’s unlikely that we can easily change the way we have come to interpret them, maybe they should simply go away, or at least be accepted as interchangeable, if not completely nebulous. For my part, I’ve decided to simply adopt the less descriptive, but more precise “Latakia mixture” in all future discussions, but, no, I’m not going to rewrite my labels. Now that I’ve used my inaugural column to dive into the waters of controversy, all I can do is hope that I haven’t bored the readership completely to tears, and that my byline will appear again in the next issue. I’ll try not to be so pedantic in the future. 1. Voges, 113; Djebel Tobacco - 1) Name given to those oriental tobaccos grown in mountain districts, as pooposed to those planted on the lower slopes of foothills or on the plains. … They are always superior in quality to the lowland tobaccos, having a better colour and finer aroma. The Basma-type Djebel tobaccos from Greek Thrace and the Greek and Bulgarian parts of Macedonia are particularly famous. Milton M. Sherman - All About Tobacco, © 1970, Sherman National Corp.